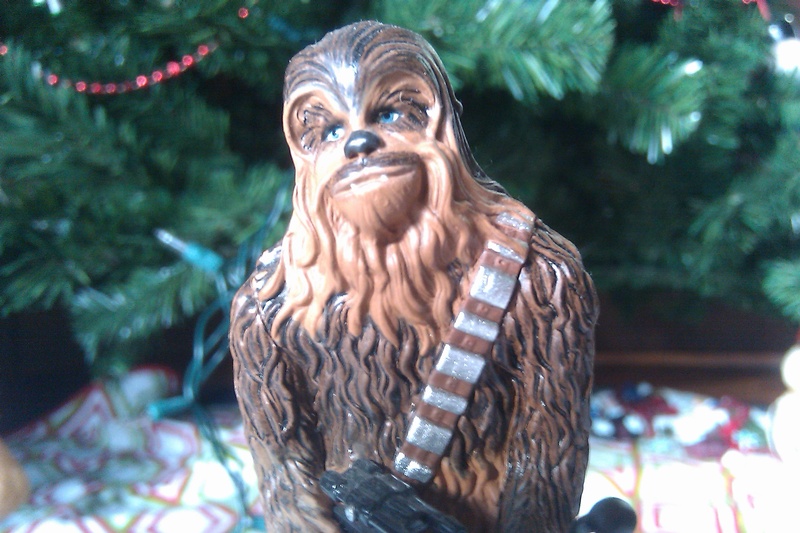 Why so sad Chewbacca ornament? I think I know why. Christmas time is over. It really hits me when I start putting up the Star Wars ornaments. It’s over. We took down all the ornaments, took the tree apart, and got shed of it all (I don’t know if everyone knows this expression. It basically just means “to put stuff in the shed”). My living room is empty and my heart is full. It was an absolutely wonderful season and I hate to see it go. I will eagerly await next years Christmas. Who knows what that will be like? So many things can change in a year. Anywho, the last two days were spent hanging out with friends and making some good food decisions and some bad ones. We spent Thursday with our friend Meagan. 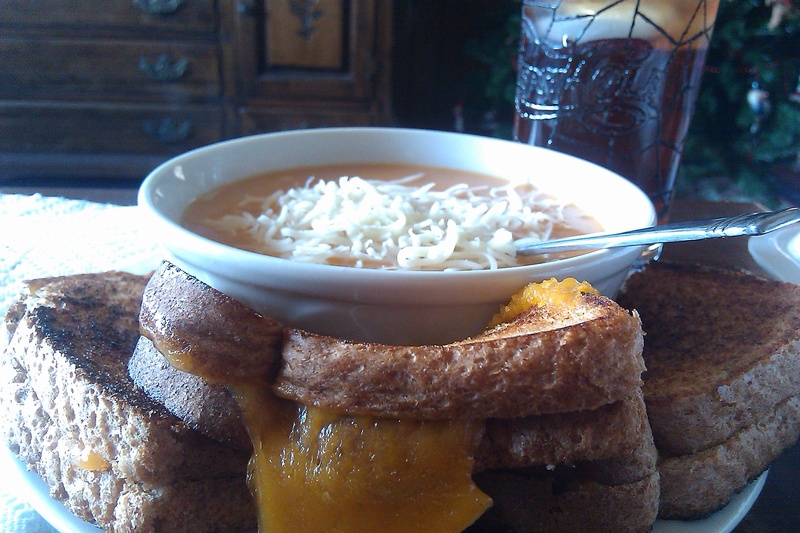 For lunch, the girls went into town and got Chicken Tortilla soup from McAlister’s for us to share and I made grilled cheeses (is that the proper plural for grilled cheese?). Then, that night, we went to Como to meet Meagan’s boyfriend and ate dinner at the Windy City Grille. I had a very nice salad with turkey, bacon, toasted almonds, and balsamic vinaigrette. I am sorry I didn’t take a picture, but I couldn’t get my phone out during trivia for fear of disqualification. That’s right, it was trivia night and we didn’t even know that upon arrival. There were some very smart teams there, but I think we came in fourth and I am pretty proud of that. Friday night was spent playing Rook with our friends the Barnes’. Kim and I actually beat Kevin and Nikki for the first time in the history of our card-playing centric get togethers and I was pumped. I overate though, and I am not proud of it. I have realized that I can not be around a “snack” plate or I will graze like an eager cow. I woke up very groggy this morning and realized that I needed to get this thing back on track. What’s the best way to do that? Dusting off the old juicer. I had some produce in my fridge that I wasn’t quite sure what to do with anyway, so this was a win-win situation. In the mix: All this crap. I want to read a lot more books. I planned to read twenty in 2011 and only made it through 14. That’s not bad, but I hope I can read at least 30 in 2012 (by the way, if you are Goodreads, look me up! You can find me here). And I want to actually finish a book about health this year instead of getting halfway in, getting bored, and re-reading Harry Potter. 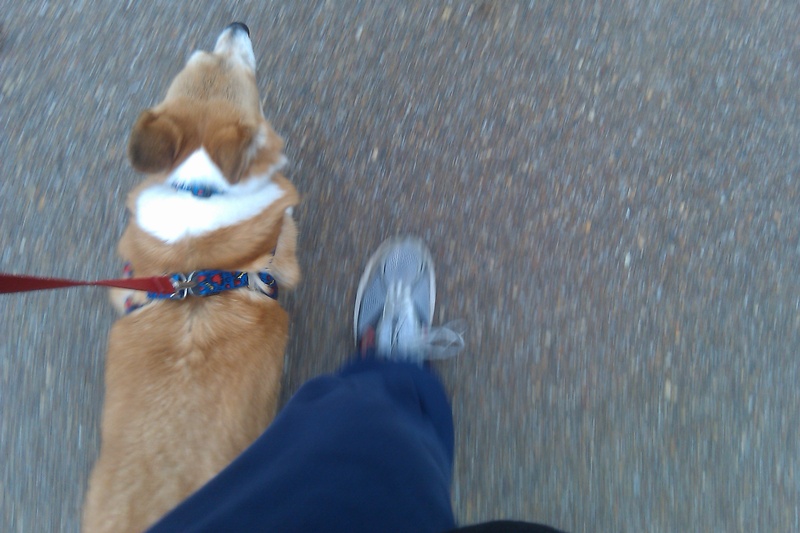 I want to keep up the walking the dogs regimen. 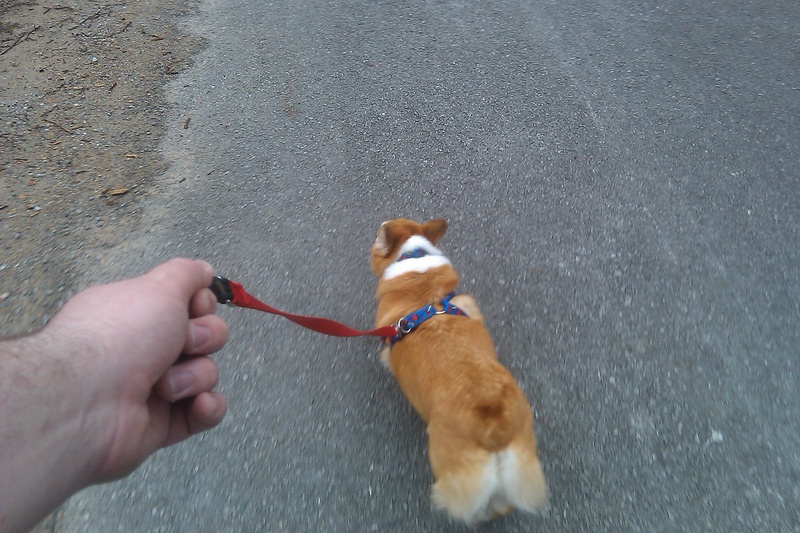 We have been doing fairly well since we have started, but I want to make sure we walk them at least once a day. I am in charge of their well-being, and it is downright cruel to force them to sit in this tiny house all day. I want to be more content. God has blessed me so much with a nice job, a great house, and many amenities, yet I still spend half my time daydreaming about more. I want to be still and know that He is God and stop running in place. That made sense in my head. That’s a lot to live up to, and I am going to do my best (which is not much) and lean on the Strength of God to make the rest possible. As always, you can follow my progress on this humble corner of the blogosphere. I want to leave you with a video that blew me away. I am a huge fan of Bon Iver and am in love with the self-titled album that came out earlier this year. When my brother asked me why I love it so much I said “It makes me see colors”. I think this video best encapsulates my feelings. Well, it took longer than I thought, but hopefully now I will be back to regular blogging. Vacation time is awesome, but it can also be busy. I did not have a chance to sit down and write yesterday and for that I apologize. I took a lot of pictures over the holiday, so I am going to inundate you with them now. 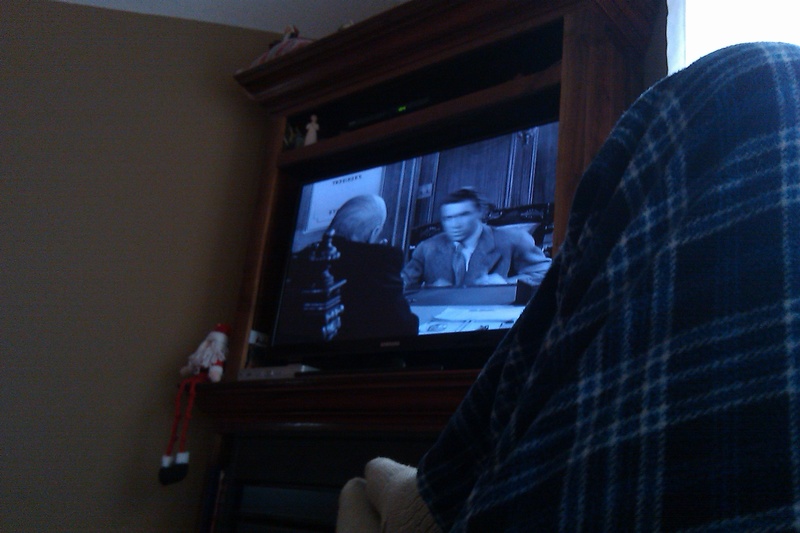 We watched It’s a Wonderful Life with my in-laws on Christmas day. My father in law and I were the only ones who actually watched the whole movie. Everyone else either went to sleep or sent text messages the whole time while occasionally interjecting “what’s this stupid movie about?” My inner cinephile weeped for the film viewers that Hollywood has created. If something isn’t blowing up every five seconds or if there is more dialogue than the occasional catchphrase then it’s stupid. That’s a soapbox to hop on another day. Santa was very good to me this year. I feel quite blessed. Apparently Santa prefers that I ignore my wife. 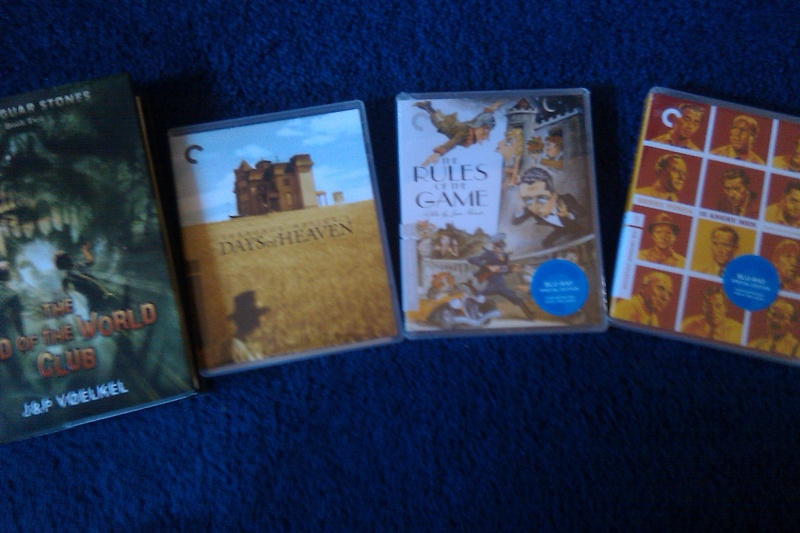 I got this book that I wanted from Max and Gawain: I added quite a few movies to my Criterion Collection: That picture also features a book that I have been wanting, given to me by my cousin Caitlin (sorry for the blurriness. I did not receive a new camera for Christmas. I did receive money from my parents to go towards a new iPhone, though. I am debating whether to get the phone (which has a very nice camera) or just buy a stand alone camera). 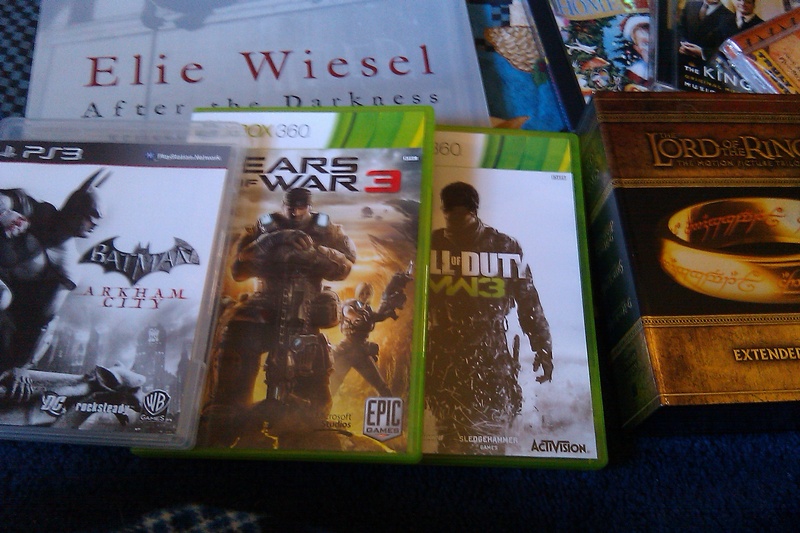 I got several new video games: And the extended edition Lord of the Rings on Blu-ray! 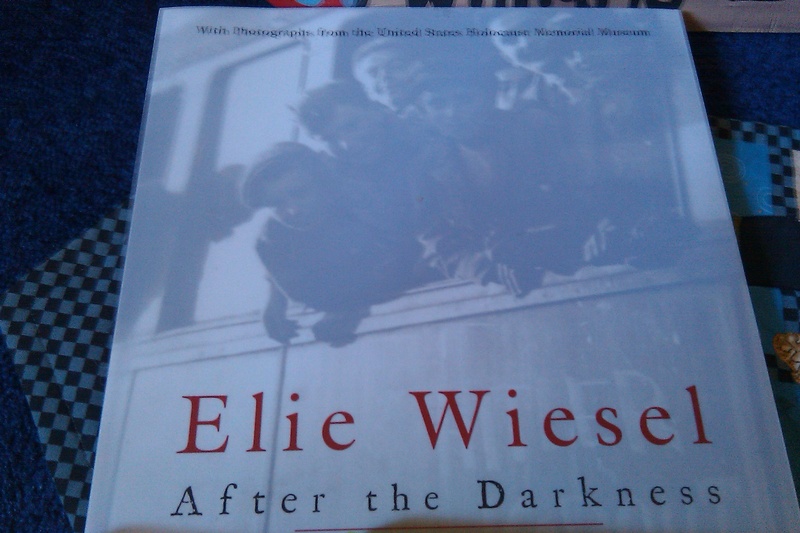 You can judge me for this, but I literally started crying a little when I opened that present. I also got several cds, socks, underwear and two pairs of shoes! I got some new tennis shoes and am looking forward to putting them to use to fulfill one of my New Year’s goals (more on that tomorrow). I was most proud of what I got in my stockings. I have been telling all of my family members that I am trying to eat healthier and I got this in my stocking: Awesome, right? I will have healthy snacks for a while to come. On the Monday after Christmas we drove down to Nikki’s grandmother’s house, or my health battleground. I was seriously worried about this because Nikki’s grandmother always cooks great, fatty, Southern food. My true test was about to come. On the trip down I realized that it is very hard to eat/drink healthy while on the road. 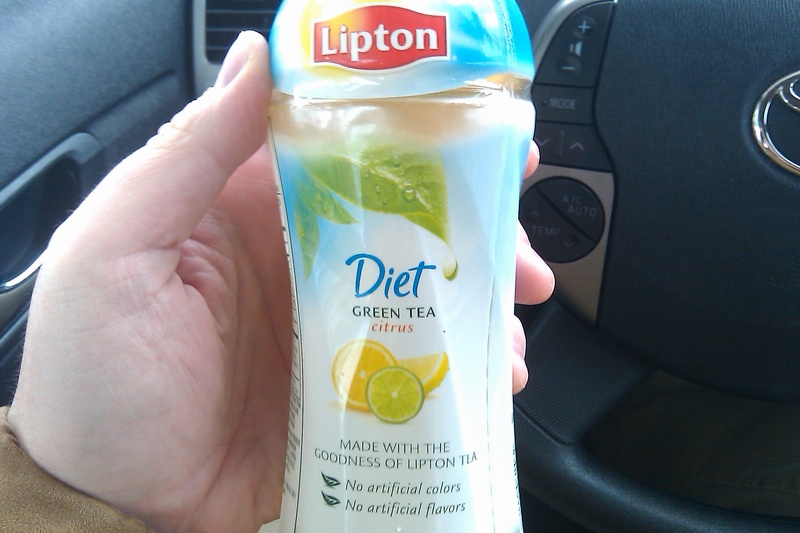 Since I have been off of soft drinks since Thanksgiving I found out two things on this trip: This drink is very tasty. I don’t know a lot about the nutrition of this drink, because I did notice sugar on the ingredients list. 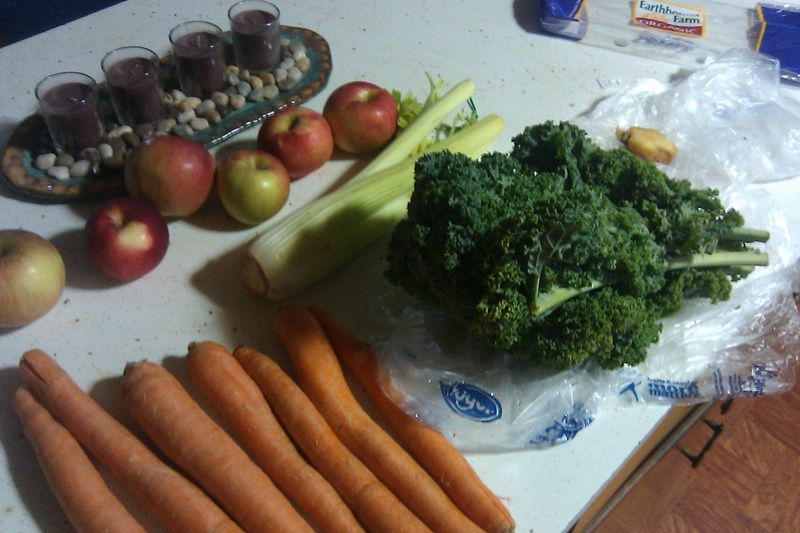 But I also noticed a lot of good wholesome ingredients and vitamins that are essential, so I think I did alright. Let me know if I’m wrong. 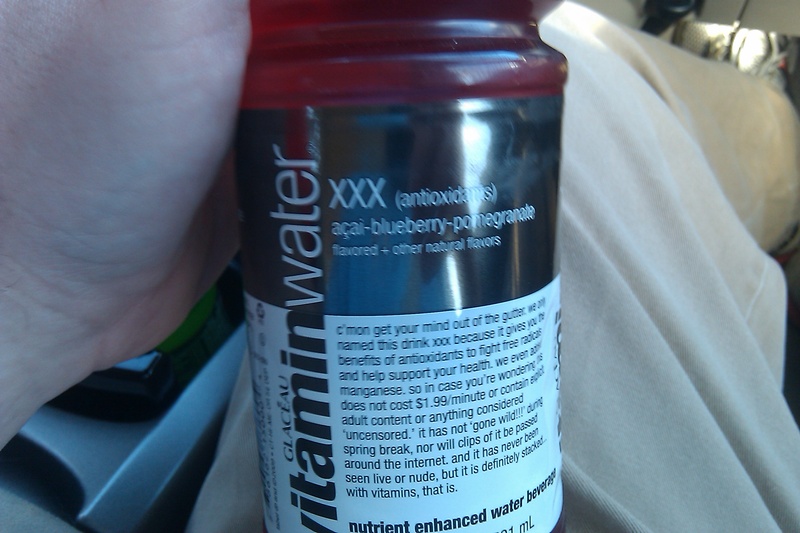 This drink, on the other hand, is disgusting. It’s bottle may be jaunty, but it’s ultimately misleading. Nikki wanted me to tell you that this drink made ME do the lizard seizure face. I did drink it down though. I paid $2 for it, what else could I do? I did ok at Nikki’s grandmother’s house. I did partake of the food, but only very small portions. 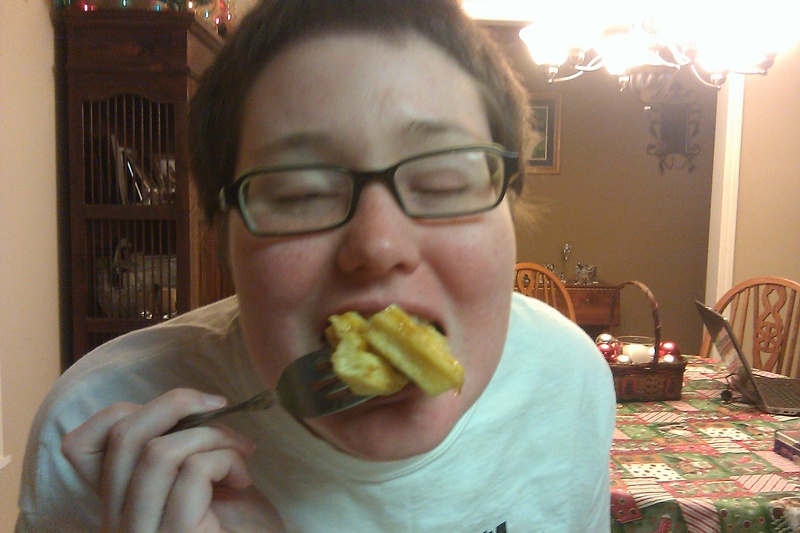 I also found that I can eat fairly healthy at a Waffle House. We stayed at a hotel in Meridian with Nikki’s parents and there was a Waffle House next door. Since Nikki’s father wanted a “real breakfast” on Tuesday morning we headed over there. I thought about just getting a single waffle, then I noticed that you could order any of the omelets as an egg white omelet. So, I did. It also came with hashbrowns and four pieces of toast. I ate maybe a fourth of the hashbrowns and two pieces of toast. I felt great about this decision because normally I would get a country fried steak, two eggs, bacon, hashbrowns and a waffle. That is a ridiculous amount of food. 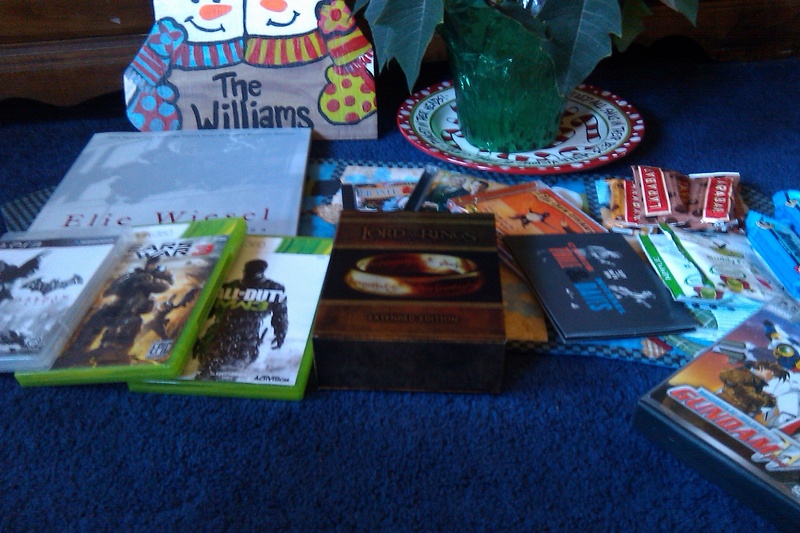 It was Christmas though, and I talked myself into a few indulgences that I do not regret. 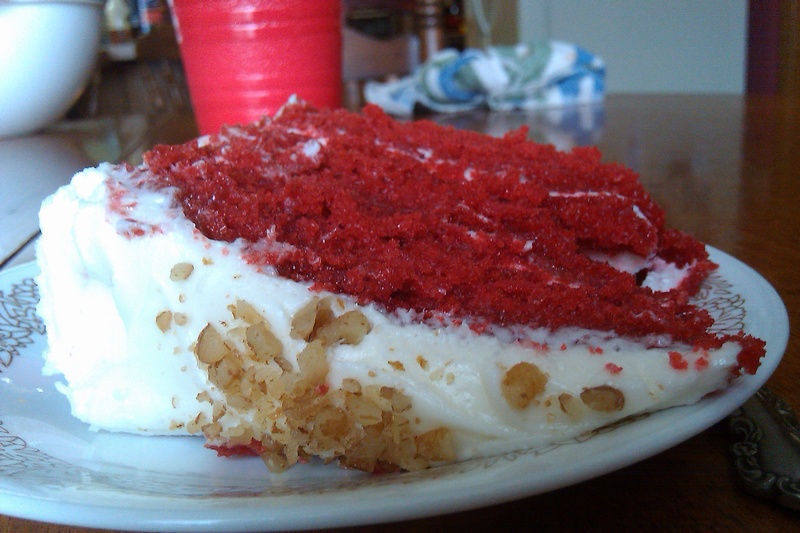 I had one piece of red velvet cake. 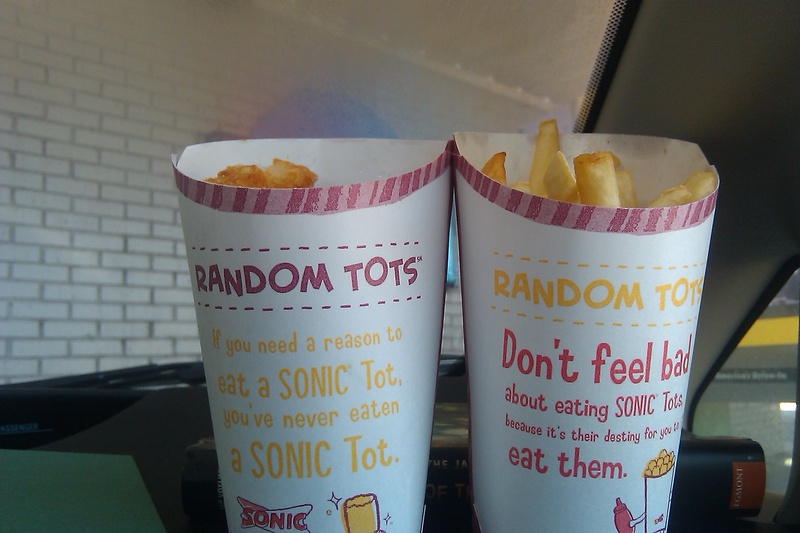 Then, on the way home I talked myself into getting a combo meal at Sonic and another large order of tater tots. The reason being that Nikki and I have had to put a lot of our Christmas money into family expenses and not fun things. So I figured I could get one small fun thing. Just like so many of you have told me (and my mom has told me for years) it is not good to reward yourself with food. I felt awful after eating this. Hopefully I will learn from this mistake. I wanted to leave you with a thought I had. 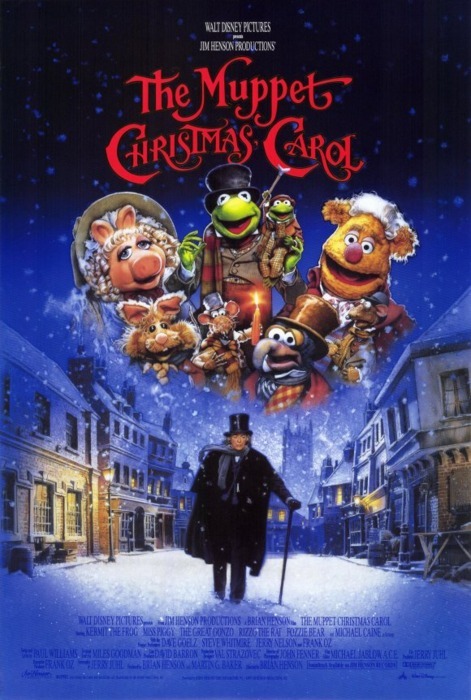 The scene above is from The Muppet Christmas Carol. Scrooge has just awoken on Christmas morning and he is walking the streets wishing everyone a Merry Christmas. He comes upon Bunson and Beaker, who play workers for a local charity. 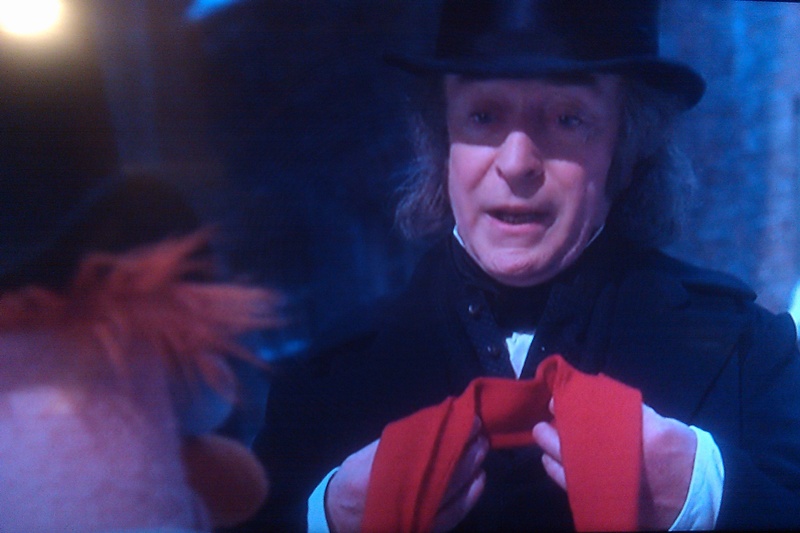 Earlier Scrooge had shooed their efforts, but now (his heart being changed) he offered them a large donation. In an act of love and gratitude Beaker offers him his red scarf. Michael Caine’s acting in this scene is phenomenal. You can tell by his words and expressions how truly grateful he is for this small gift. “A gift? A gift…for me?” he asks astonished. I have thought about this moment a lot because Scrooge is seeing in this moment that his change was for the better. He is receiving a reward for his good deed. I think the work of the spirits wasn’t truly finished until this moment, when it came full circle. Scrooge saw that if he gave love, he received it in return. I think this applies to my situation as well. I have seen that when I truly make an effort to eat better and live healthy I receive a reward on the scale or in the way I feel or even act towards others. I realized this when, on Monday after Christmas, I showed a loss on the scale. I was feeling dejected because I had not done great the week before. I had not eaten a lot of fruits and vegetables, but I had restrained myself in all of the meals and ate the best I could. I found that if I put in effort I will receive a reward. I can’t always eat what I want, but as long as I do my best in whatever situation I am in, I will be rewarded. 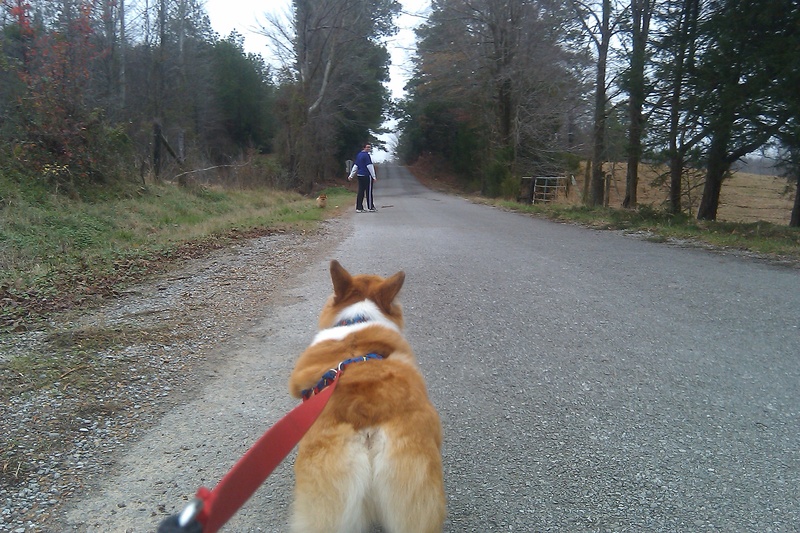 Will a Corgi in Motion remain in Motion? A quick recap of the last couple of days: I ate breakfast for every meal yesterday. 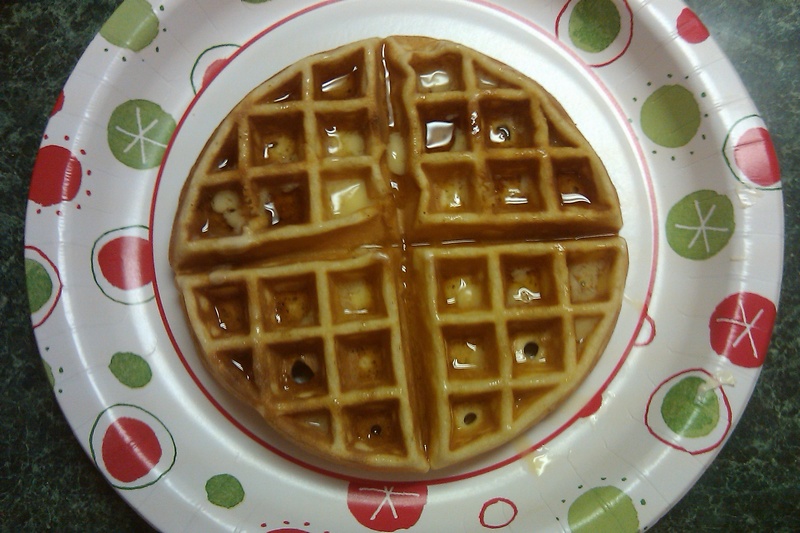 Waffles for breakfast, cereal for lunch and biscuits, eggs and bacon for dinner. I, unfortunately, realized that I can no longer eat like this. Now, I did indulge with planning. I didn’t have near as much of each meal as I usually would have. There was no vegetable or fruit in any of these meals, and that is becoming a disturbing vacation trend for Evan. I am going to juice in the morning and try to clear this mess up a little bit. I have been having gas and stomach problems ever since I changed my diet. Sorry if that is too much information, but I wanted to be honest with you guys about how my body reacted to this change. I do not regret eating this way, nor am I going to beat myself up about it. I just have to work harder to sneak in some fruits and vegetables between the holiday meals. After the waffles we played Phase 10 Masters, a gift of Nikki’s from Santa this year (thanks Santa!) That hand wasn’t a good one. 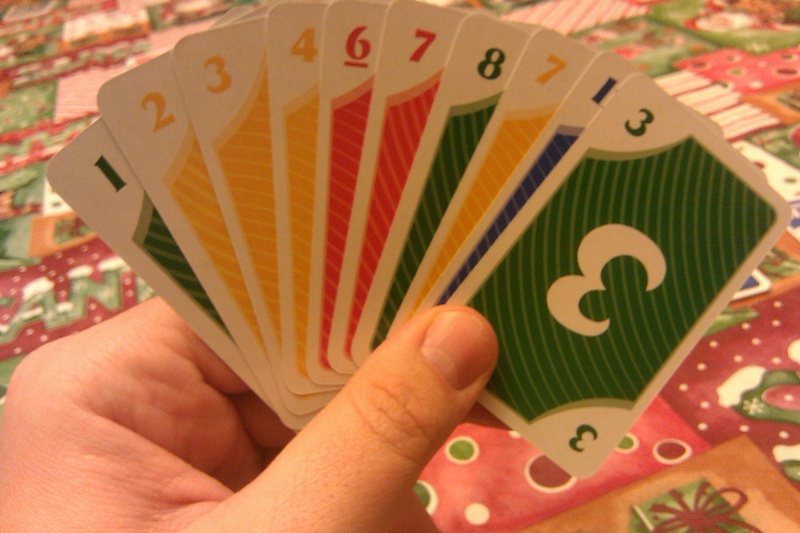 I definitely lost and am not a Phase 10 master. I finished the day with a banana, hoping to settle my gurgling gastro-intestinal system. I woke up this morning and had some more cereal, because I didn’t feel like making anything else. It did not curtail my stomach situation though, which actually got worse as the day went on. Nikki and I decided to take the dogs for a walk, which is something we want to get in the habit of anyway. That was too much of a loose hold and Gawain almost got away from me while taking that picture. Here’s a few more: We always have to walk behind Nikki and Max or Gawain will always stop and wait for them. I guess he needs a goal to walk towards. Rocking the sweats. The walk went very well, except the boys want to stop every twenty feet and mark something. They claimed our entire neighborhood for themselves during a 20 minute walk. That’s all until after Christmas my friends! I love you all and thank you for supporting my little blog thing since I started. It really helps to hear from you all and be encouraged to keep going. I hope you all have a great Christmas and enjoy the time spent celebrating the birth of our Savior and celebrating the blessings each of you and your families have received throughout the year. I usually do this with my brothers, but we are not together this year. I know they will be pelvic thrusting with me in spirit. I forgot to tell you guys something. 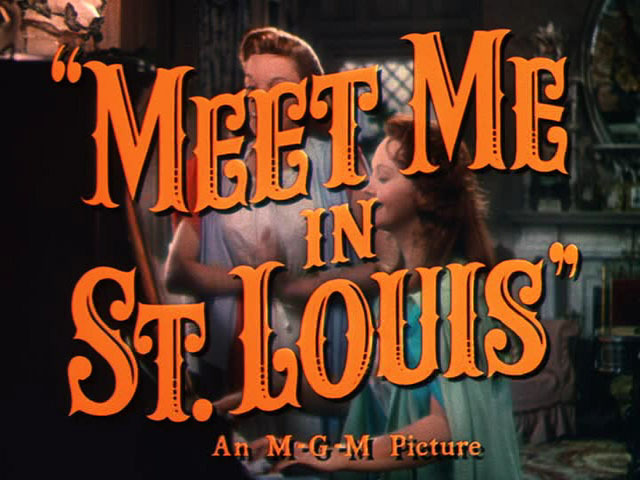 While we were eating the Italian Sausage and Peppers the other day, we watched Meet Me in St. Louis. Excellent, excellent movie. When we got towards the end of it Nikki asked “Why is this a Christmas movie?” The only answer I could come up with is because there are several scenes that take place around Christmas, and that this movie was the debut of the song “Have yourself a Merry Little Christmas”(which was sung by Judy Garland. If I wasn’t already in the Christmas spirit I am definitely in it now). Yesterday we spent most of the day with our friends the Rogers. Nikki and Lisa left the house so that Kaleb and I could work on something special (more on that as the Christmas season progresses). We met the girls for lunch at Lenny’s sub shop. I got a little more sub than I should have, but I do not regret it. I got a large sub and the guys wrapped half of it to go so I could eat it for dinner. During the meal we spoke about how we are all trying to get healthier and Lisa told me that my blog had inspired her to create one of her own – you can find it here (Oh, an aside. Another one of my dear friends has also started a healthy eating blog, that you can find here). I am very excited for her and for you dear reader, because she is an excellent writer. I received a package in the mail from Amazon that perplexed me. When I opened it I saw two items on my wish list. Nikki kind of cocked her head and said “Did you buy something? !” I really didn’t remember doing so and upon closer investigation of the packing slip I found a note that said “Wanted you to have something to open closer to Christmas. Love, Santa (Thanks Santa!). 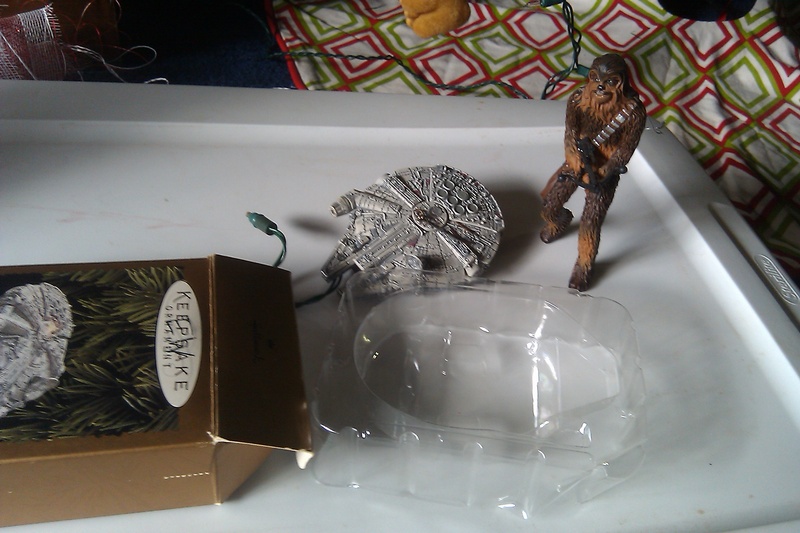 Here is a picture of the packages contents: Ever since this has been opened I have had “Alone at Christmas” in my head. 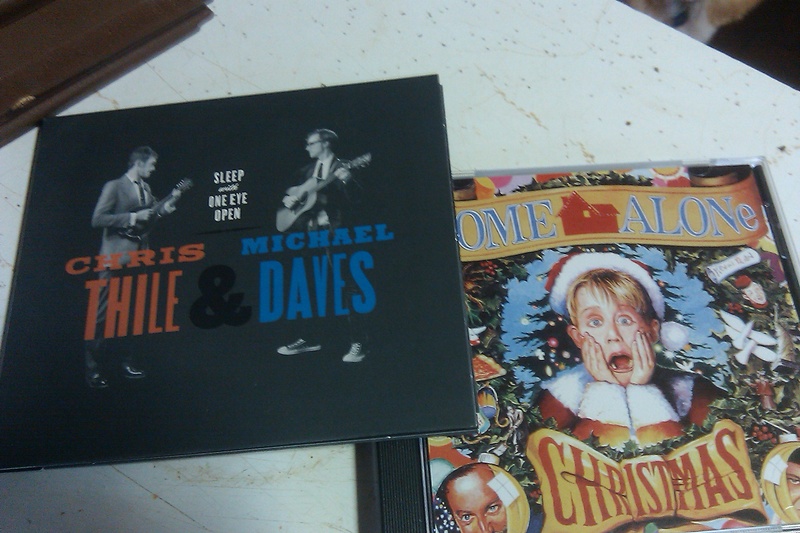 Also, if you like bluegrass then you owe it to yourself to get Chris Thile & Michael Daves’ Sleep with One Eye Open. You will hear things done on the mandolin and guitar that you only thought possible via mandolin and guitar playing Jedi robot. 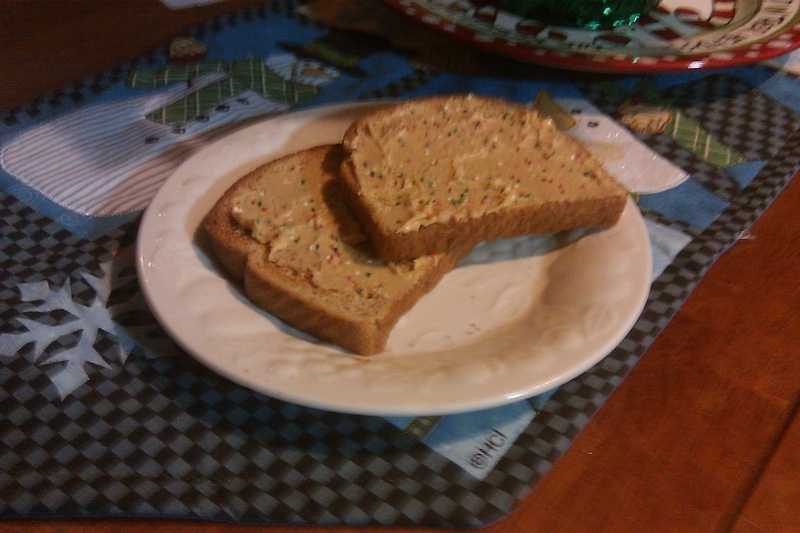 I told you the other day that the toast with Almond Butter was the last healthy thing I had that day. 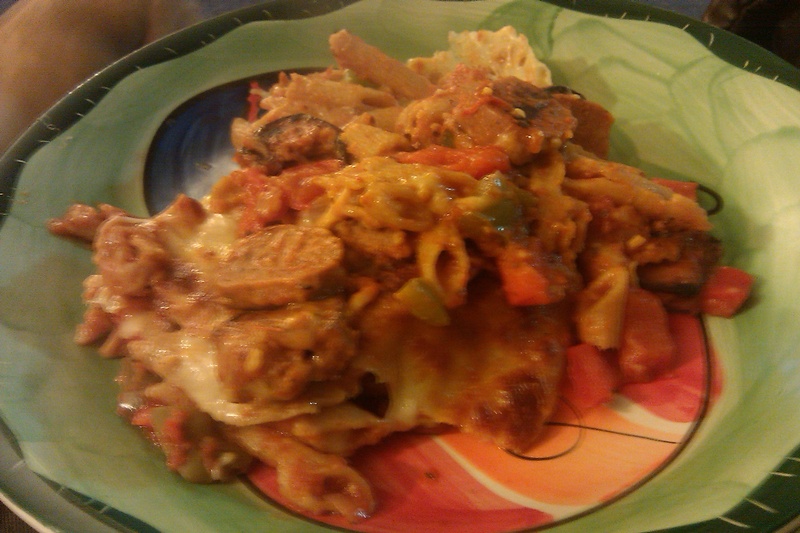 Here’s what I had the rest of the day: a hamburger, fries and italian sausage with peppers. I went to Handy Andy with my friend Skip for lunch on Monday. I felt like I had been so good in the past couple of weeks and I needed a treat (like the hamburger and fries weren’t enough). I got two orders of fries. I am shamefaced. I think at this point in the samurai movie I would have to fall on my sword to save my family’s honor. Look, I know I give myself a hard time, but it is really because I know how deep the rabbit hole goes. I don’t want to fall down there again. So I have to be really strict with myself, and I haven’t been because if I do one good thing I expect one bad thing as a reward. That is such backward thinking, but at the moment I feel it’s genius. I think it might be because I focus so much on my emotions when I eat and let them guide me as far as what I eat. I hope that I can get to the place where eating is just something I do to live and not something I live to do. Does that make sense? I feel like it should be needlepointed on a pillow somewhere. For dinner Monday night we had Italian Sausage and Peppers from the Peas and Thank You cookbook. I think I may have blogged about this before, but this is one of our go-to dishes. 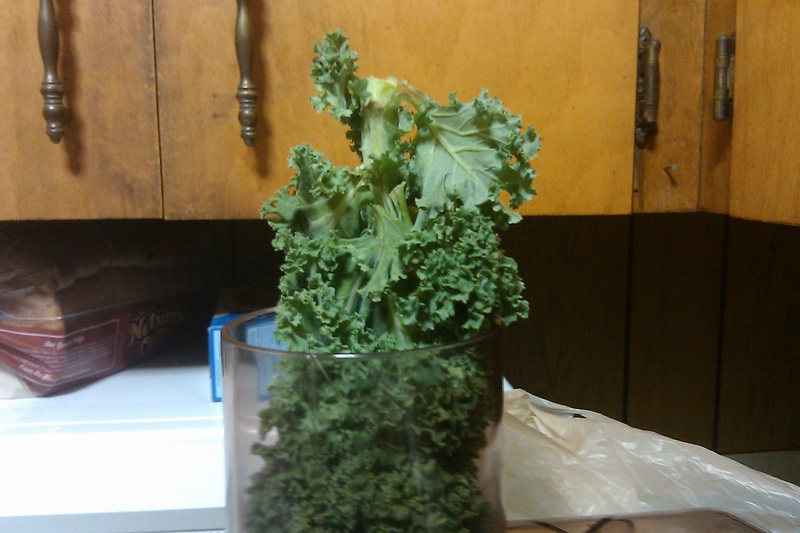 It has a very large yield and we can eat it for dinner and then have it for lunches for several days afterwards. Oh, and the sausage is veggie sausage. I never thought, in all my life, that I would eat and enjoy fake sausage. But I was wrong. It is actually very good. 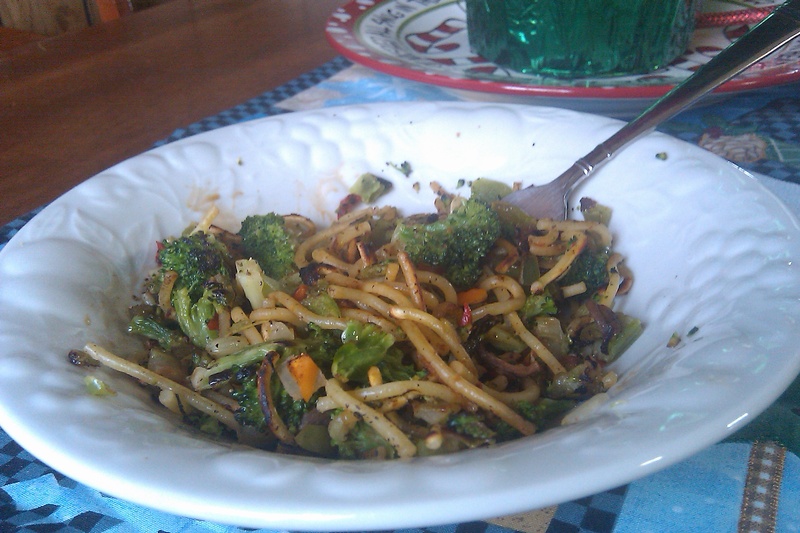 I had a problem with the dish this time though, and that is because Nikki had not chopped the peppers very small. I always have a hard time eating vegetables if they crunch. Is that weird? For some reason, I just don’t like the texture or the way it feels when I eat it. It just seems wrong somehow. I powered through it and made a happy plate. I don’t know how much I will blog the next two weeks, my friends. I am on vacation until January 2nd and I just don’t know how interesting my activities will be. I will do my best to at least post every other day, if not every day. Also, I have encountered vacation Evan today and I am not proud of him. He has not made very good food choices and I hope that I can do better. I know it is going to be very hard because I don’t have a structure. A work day gives me a great structure to base my eating around. When I just sit all day I am more likely to gravitate to the kitchen and eat something terrible for me out of boredom. Thankfully, there is not bad food in the house. 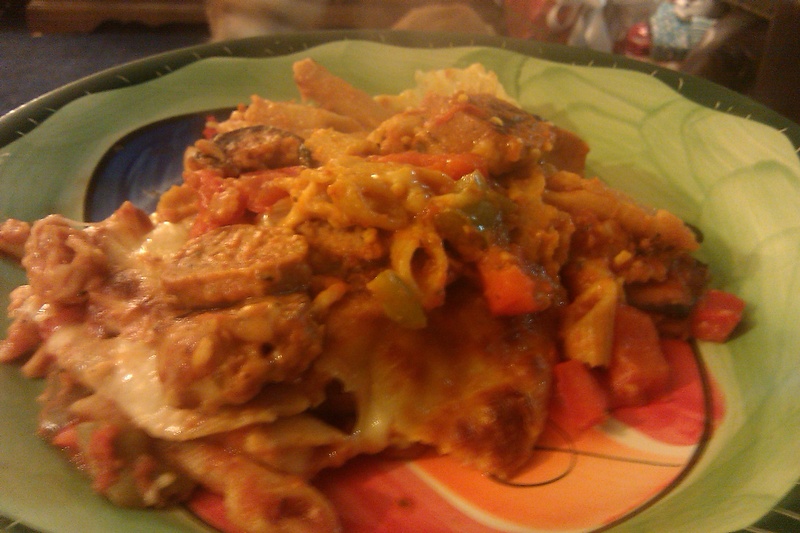 But, like I told you before, I have made some crazy concoctions when there is no food in the house. I know for a fact I have mixed Nesquik with all kind of foods I am not proud of. Pray that I have the strength to keep doing well for myself and my future family. I want to come out of this losing weight by the New Year. So that my resolution will be to lose more weight instead of lose weight in general. Every day I’m slankin’ it. 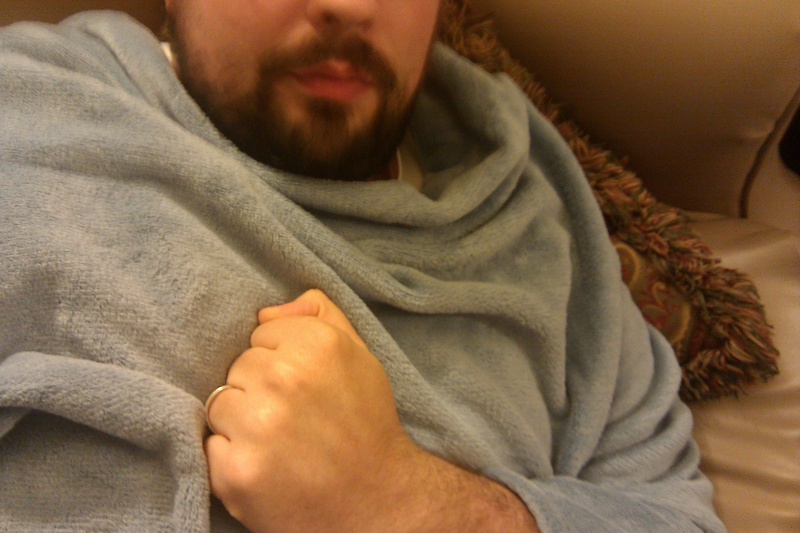 This was me, on the couch, Friday night. I had told Nikki about my triumph over the burger and she felt I needed a treat. Well, I might have alluded to the fact that a treat was warranted. Either way, she came home with this: I was as happy as a set of ginger twins on the front of a cereal box. 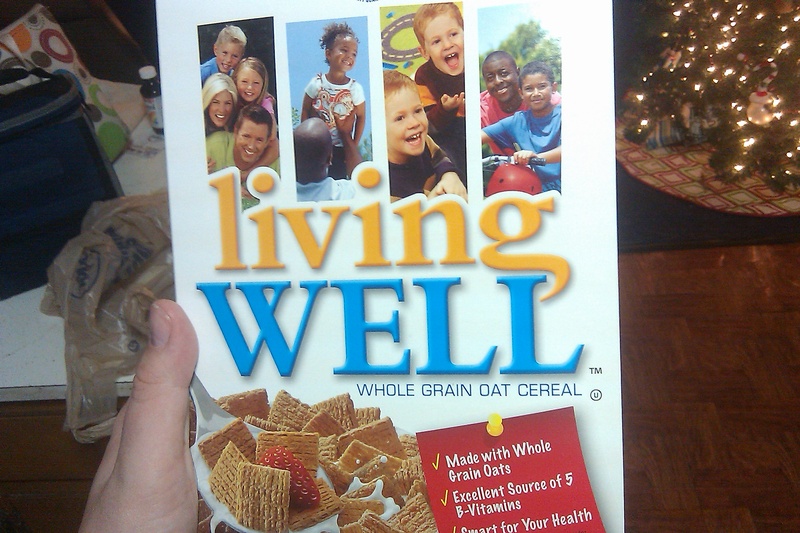 In essence, I was “living well”. And by well I mean, I ate this entire box of cereal within 24 hours. It is my crack cereal. The kind you eat in a giant mixing bowl with one of those giant wooden novelty spoons all of our grandmothers had on the wall in the kitchen. I was looking forward to Saturday, because we had a couple date planned. We went out to eat with the Busbys! It was a lot of fun. I met the Busbys through my sister-in-law, who is the sister of Mrs. Busby (confused yet?). Either way we had a lovely time. We went to dinner and then to see Sherlock Holmes: Game of Shadows. The movie was good, but the food before was excellent. We went to local eatery Proud Larry’s. I had skipped lunch earlier, because I knew we were going out for dinner (I have still yet to find out if this is healthy or not. Any idea regular commenter?). I perused the menu hungrily and finally settled on a spinach and mushroom calzone (sorry for the lack of pictures, but I was trying to keep the weirdness level at a 5 until the Busbys got to know me better). It was a huge puff of crust with a mushroom on top, that I removed forthwith. I am not too keen on eating mushrooms in the first place, but if they are lodged in cheese I am able to oblige. There is no way I am going to eat one in the open, hence the removal. I didn’t have a problem devouring the contents of the calzone and declare it delicious. I was hungry again by the time the movie was over, so I made a grilled cheese when I got home. Sunday morning we had a Christmas party with our Sunday school class. Everyone brought a breakfast dish to the Grays and we partied like Southern Baptists do, which basically means you always have heartburn afterwards. We brought sausage balls, then there was crescent roll things filled with sausage and cream cheese, a sinful (ironically) cinnamon roll casserole hybrid, a breakfast casserole that featured tomatoes (I looked at this and exclaimed out loud “Yay, vegetables!”) and pigs in a blanket. It was a good time. I realized that I am going to have to make concessions during the holidays, so I tried one of everything. You really can hurt peoples feelings if you refuse to eat their food. They’ll ask you about it later – “say how did you like my lard covered wedge of cheese dish?” You have to say “It was great” with a burp, or you might lose a friend. I am trying to get back on track, but it is just going to be harder and harder to eat well closer to the holidays. I am just going to have to practice moderation as best I can. Speaking of which, I ate before I weighed myself this morning so I have yet to find out the repercussions of last week’s unhealthy dalliances. Needless to say, I needed something fairly healthy for breakfast. 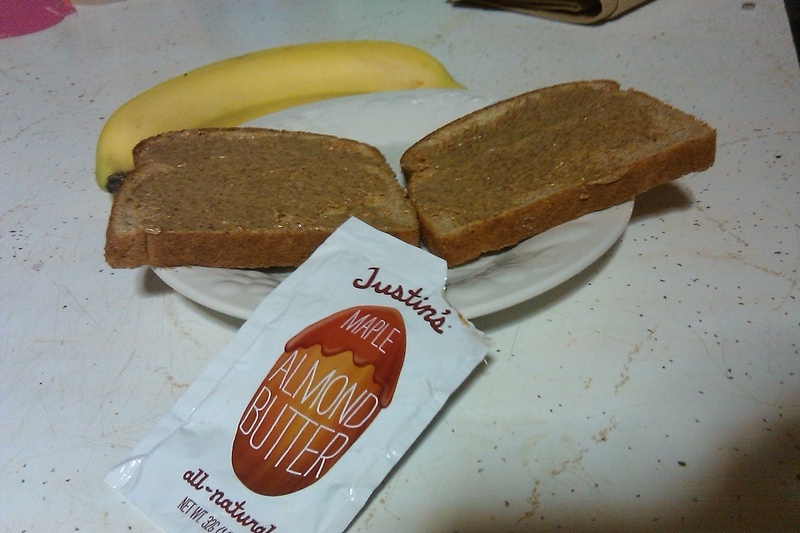 I chose toast with Justin’s almond butter (thanks Santa) and a banana. Unfortunately that was the healthiest decision I made today. More on that tomorrow. FUDGE! Do you like how I tried to make the picture festive? I love our snow-people sign. This is from LR Designs. Check them out, they make great stuff. 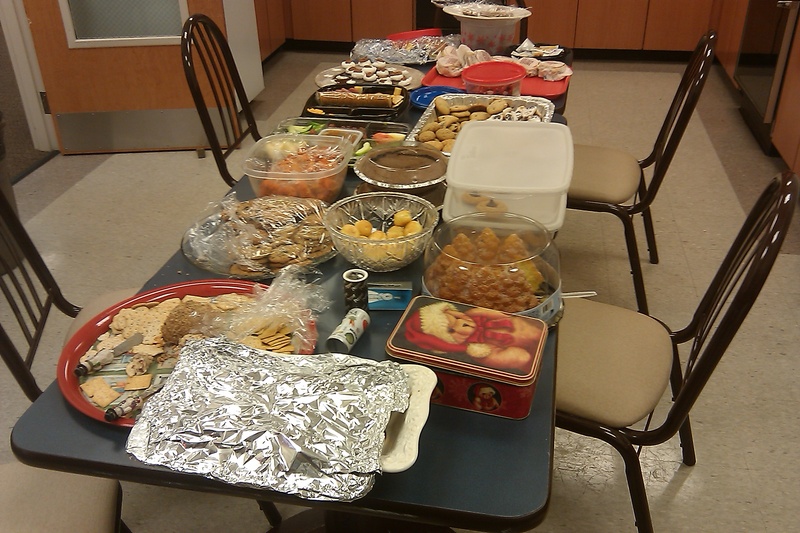 Yesterday was our annual “Eat til you blow up” day at work. We are all supposed to bring something snacky. I always bring fudge. 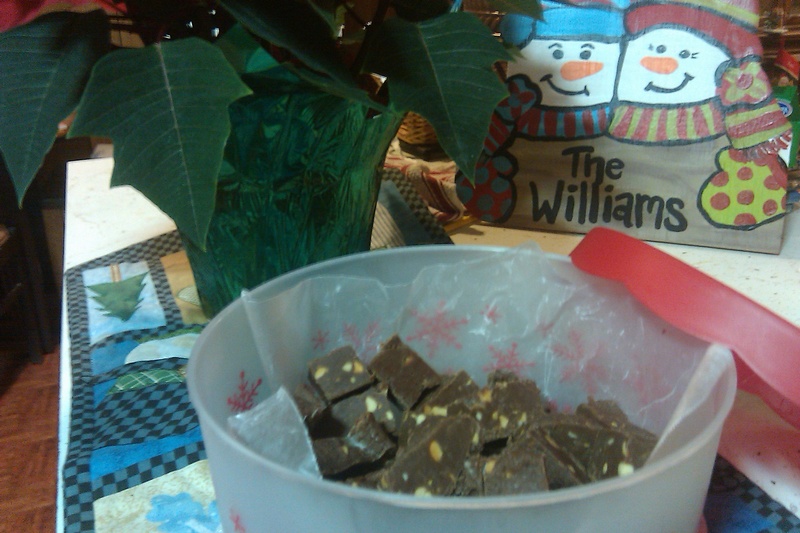 Hence the fudge. Want to know how to make it? It’s devilishly simple. Take a bag of milk chocolate chips and melt them with twelve ounces of peanut butter (I used crunchy). Once they’re melted quickly stir in one can of sweetened condensed milk (if you don’t stir fast it becomes like dried concrete. No joke). Once combined put into a 8×8 (or whatever pan you make brownies in) pan and make even. Put in the fridge overnight and voila! I cut it with a pizza cutter. This is the temptation that faced me when I sat down for lunch yesterday: Like my grandfather used to say: Gooood Loooooord. I am happy to say that I only ate a few pigs in a blanket. And a few sausage balls. And a sausage biscuit. But! I didn’t eat any of the sweet stuff. There’s some sort of victory in that. I had a really lousy day today. This is one of my triggers. On the way home I was seriously debating going to Wendy’s and ordering a triple with large fries and a large coke. I fought myself all the way home. I had to mutter to myself “I do not need this, it won’t make me feel better,” while I passed each potential eatery. I made it, but just barely. And I promptly made some sweet tea when I got home. I told you, I like to bargain. Let me go into why I had a lousy day. I work in Procurement Services, probably the most hated department on campus. 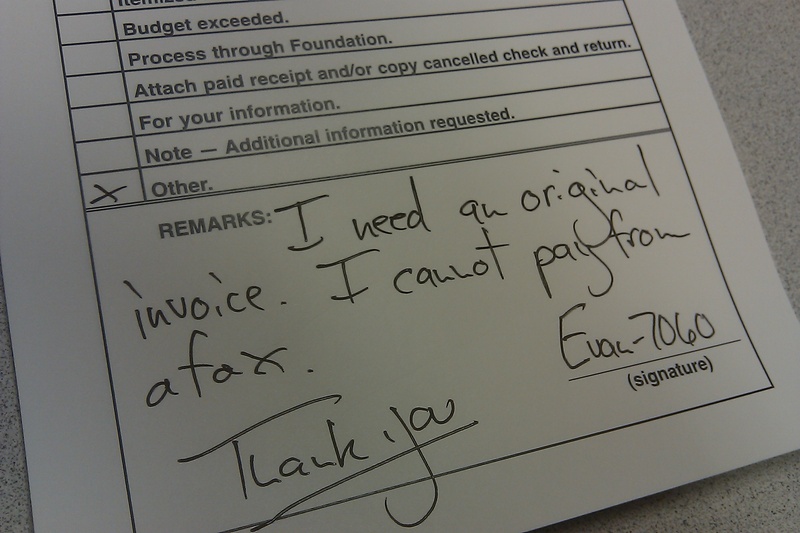 An example of the notes I put on documents I send back. It looks like I said "I can't pay from a fox", which makes remarkable sense. We are responsible for making sure that all of the money spent by departments adheres to State policies. So, everyone looks at us like a parent getting onto them. That is the reason for most of my lousy days, I get chewed out by different people I am trying to help. Sometimes, however, the people I work with put me in a foul mood. Today we found out that we are not getting Monday and Tuesday of next week off, like we thought we would. But, we are getting off from next Wednesday until January 2nd, an extraordinary holiday in my mind. The Chancellor sent us an email (that everyone thought was the day off announcement) wishing us all an Happy Holiday and thanking us for our hard work. You could hear a pin drop as everyone read the email. Then realization hit. I started to hear “This is such a slap in the face” “What a jerk!” “I can’t believe this, it’s just ridiculous!” I hurt really bad inside when I heard this. These cries from people who have a nice job, get a regular salary, and can feed their kids. I thought about all the people on the unemployment line, wondering how they are going to feed their kids when the checks stop. I wondered about all the moms and dads who were going through six interviews a day with teenage managers of McDonalds. I thought about all the people that have a job, but don’t get even Christmas day off, and are so thankful to work. I thank You Lord, for giving me such a good job and a good life. Please forgive Me for ever wanting more than security. That being said, there is still no reason to throw all my strides toward health to the wayside. I realized, I have to figure out my binge eating triggers and then work to override them with other thoughts. It is going to be very hard, and is probably a lifelong process. But I can do it, I proved that today. What are some of your triggers? If you start to lose faith in humanity don’t eat a burger. Hug a dog. 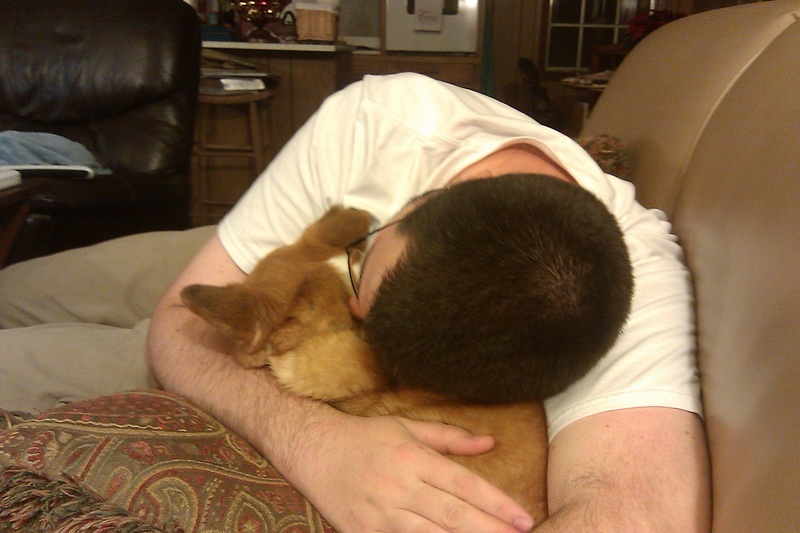 So…there has been a lot of working late around here lately. Not just me, but my mother-in-law too. Which means that we have been watching Caitlin for her. And, since Nikki has been sick, I watched her by myself last night. We had a good time! Mostly her texting and me watching How I Met your Mother, but a good time nonetheless. Caitlin had put in some baked potatoes for us, but it was going to be a while and since I knew they have been to Williams Brothers in Philadelphia recently… I had a cheesy appetizer! Good old fashioned hoop cheese. A big ol’ circle of red wax that they cut for you fresh. And boy, is it good. I don’t know why it tastes differently, but it totally does. Oh, and I ate some carrots too. Didn’t want you to lose faith in me. Today I had some more Cake Batter Cashew Butter for breakfast and then went to eat with a friend. We went to McAlister’s and I had a Veggie Sandwich on Pita Bread. This is becoming a new favorite. I was really craving a burger today because things weren’t going well at work. I think that is why my subconscious suggested I call this particular friend because we used to go get burgers together all the time. But, I decided to bargain with myself. I couldn’t get a burger, that was too unhealthy. Then I remembered McAlister’s famous sweet tea and decided that I would get a veggie and some sweet tea. It was great and the feeling of victory was even better. Do any of you guys use this strategy? I know that sweet tea may not be the best thing for me, but it is better than a coke and definitely better than a burger. Nikki stayed home again today so I thought I would make dinner for us. I called her and she said that she really wanted some Mac and Cheese. I didn’t really want to get the box kind, because it is processed and the “cheese” is an orange powder (visions of this 60 Minutes expose danced in my head). So I decided to make my Grandmama’s recipe. Bring a pot of water to a boil and then add your macaroni. Boil it for about ten minutes or until the macaroni is floating at the top and soft when you squeeze it. Just don’t reach into the boiling pot to squeeze it unless you are trying to cheer up your bored, sick wife. When it’s ready, drain the macaroni and shake a couple of times til reasonably dry. Add macaroni back to the pot and put in the 1/2 stick of butter. Stir until melted. Add evaporated milk until soupy. I used the whole can, but it is probably better if you use a little less. Keep stirring. 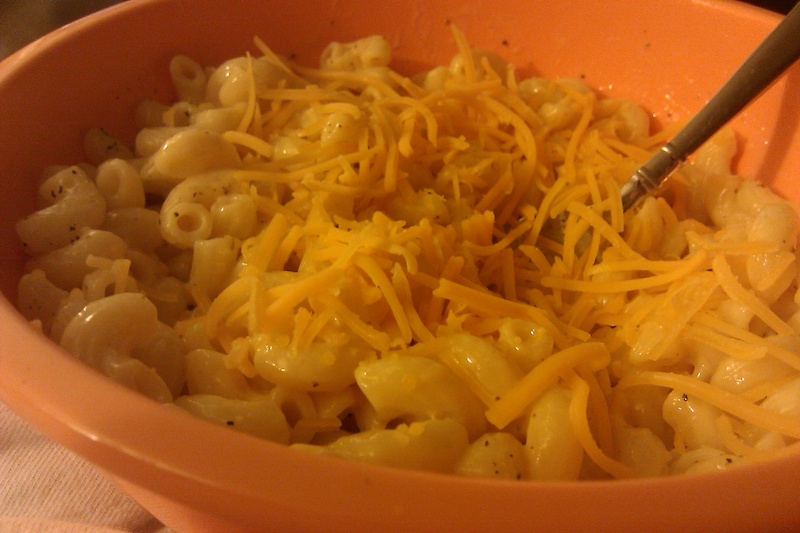 Then add the salt, pepper and cheese to your heart’s desire. Let cool for a little bit and then enjoy. It is not the healthiest concoction in the world, but is a good dinner option in a pinch. Even though the macaroni and evaporated milk aren’t the freshest ingredients, I still feel like I did better than buying shells and cheese in a box. Next time I will make my own macaroni and then milk a cow and set up some kind of contraption that will allow me to heat up the milk and catch the evaporation. I am hoping it will form some kind of milk cloud that I can then siphon. That must be the most ridiculous sentence I have ever typed. How do you think I did with my food choices today? Sound off in the comments below! 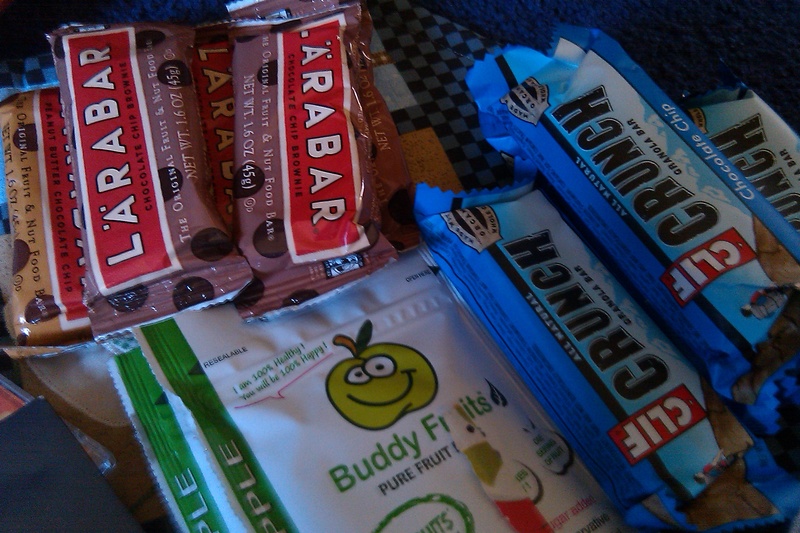 I forgot to mention that I also had some Buddy Fruits and a Larabar for my 10:00 and 3:00 snack, respectively. 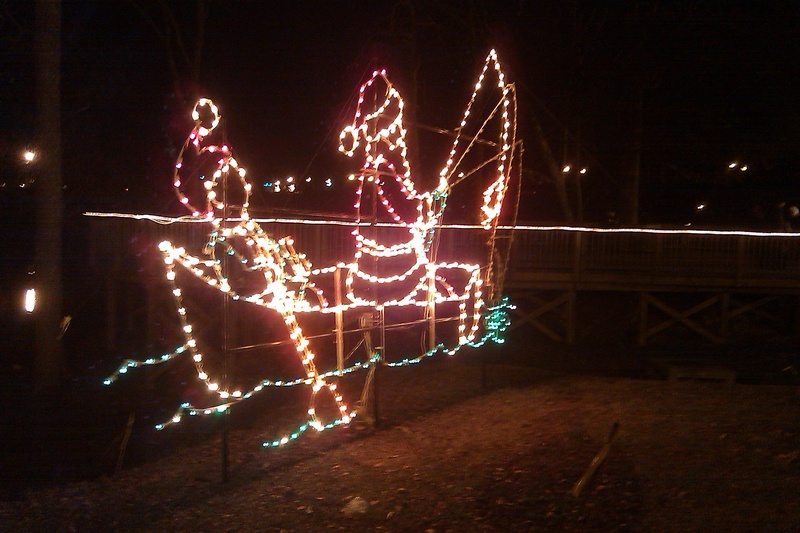 I realized I forgot to show you my favorite photo from this weekend’s fun and frivolity: Santa fishing. I really hope that is a snowman in the back paddling or my view of Santa as a doting husband has disintegrated verily. I decided to break out the Cake Batter Cashew Butter for breakfast this morning. It was AMAZING. I don’t know what mom put in this stuff (although knowing her it was all healthy and organic) but it is my new crack. I wish I had gotten a full size mason jar full. Nikki got very sick this morning, and we are not quite sure why. Since there seems to always be a stomach virus going around, (where do people get this news by the way? Is there a Virus daily mag I don’t know about?) that might be what has stricken her. I had initially gone into work, but she called me upset around 8:30 so I came home. My morning has been full of taking care of Nikki and then inexplicably watching 16 and Pregnant when she falls asleep. I hate to believe in stereotypes, but all these girls live with their Meemaws and have behavioral issues. Aren’t there any well adjusted pregnant teenagers? I guess they wouldn’t make good tv if they were studying and going to bible study. I have been meaning to add a new page to my blog that features all the great blogs I peruse daily. There really is a wealth of information and infotainment out there and I’d like to give them all a shout out. One blog that really stuck out to me was the latest entry in the “Stuffed with Emptiness” series from Tina over at Best Body Fitness. This series is directly responsible for my starting this blog. I never realized how many people had similar problems to my own, and (I know it’s a little bigoted of me) I never realized that a woman could suffer from them. Binge eating is a very serious problem and all you have to do is watch some sort of expose on the local news and see all the headless obese people to realize this. I use humor in my posts because this is how I have trained myself to deal with difficult life problems and it just makes me comfortable. Please don’t think that I don’t take this very seriously. By the way, I bring this up because I had a little run in with binge eating today. Nikki had fallen asleep again and visions of Peanut Butter Balls starting dancing in my head. “What does it matter?” I thought. “I could reach in and eat one and no one would be the wiser.” But, for some unknown reason, I pulled the whole bag out and placed it on my nightstand. I queued up National Lampoon’s Christmas Vacation and popped no less than five PBB’s in my mouth (not at the same time, ironically). I feel gross, I feel like a failure, and I am disappointed in my formerly steely resolve. Tina’s post encouraged me because she is a very successful woman, mother, and personal trainer, and she still has urges to binge eat. This is encouraging, and terrifying. I know I can achieve all I want to be, but this demon will still be sitting on my shoulder, waiting to tickle my ear with words dripping in high fructose corn syrup (Corn sugar? Nice try corn conglomerates). I will have to lean more on God to find the strength to resist, but for now I feel good knowing that it is at least possible. Thank you, faithful readers, for all of your encouragement. I will need more of it as time goes on. Have faith in me, and we can both achieve great dietary goals. There will be hurdles though, and we will trip over them. We are not in the best of shape you know. But I’ll help you up, if you help me. I have been away for an embarrassingly long time. I apologize. I have many excuses for this which include work and what not, but that’s not relevant. Let me try to bring you up to speed on my life since my last post. We had another birthday celebration for my lovely wife, this time with her family and friends. 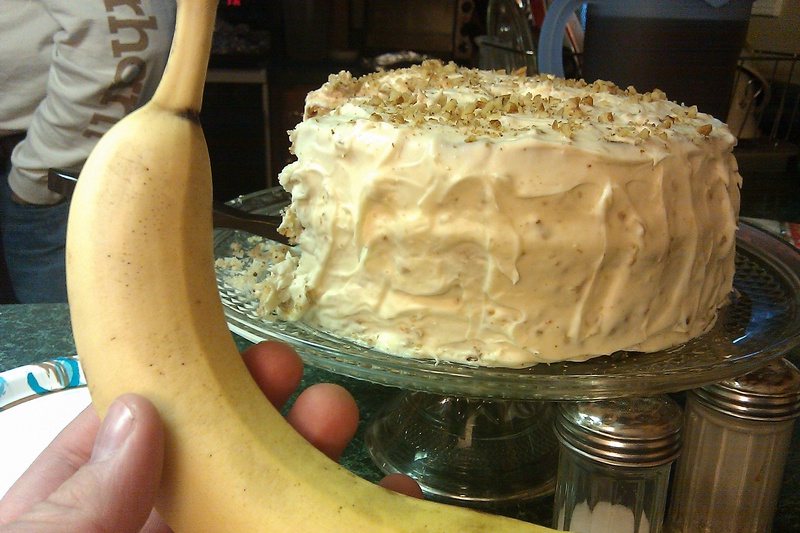 This cake was present and I chose a banana. Score one for me (with jealousy). 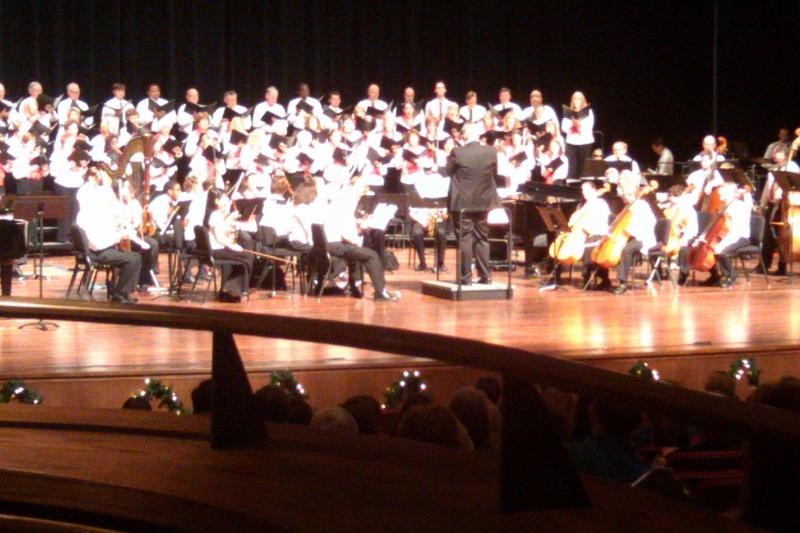 We went to a wonderful Christmas concert that was put on by the First Baptist Church of Oxford. It featured a full orchestra and choir. I really got into the spirit during this concert. 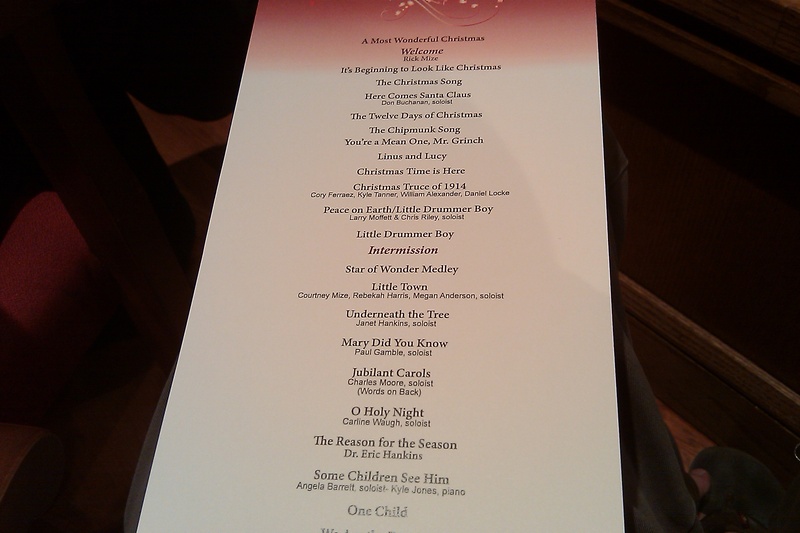 Here is the list of songs that were performed: The children’s choir did the Charlie Brown Christmas version of “Christmas Time is Here”. I was very excited by this and hopped in my seat a little. No lie, the kid sitting directly in front of me glared at me in disgust. Nikki prepared this vegetable dish from a bag. It was very good. 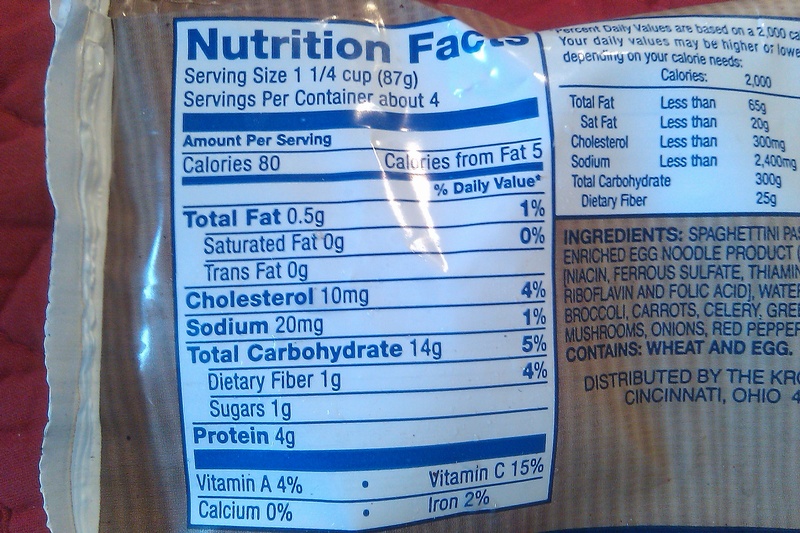 Here is a shot of the Nutritional Info: I was proud to find that we have a good option to go to in a pinch. It ain’t great, but we used to eat a Digiorno pizza in a pinch. So, I’m fine with this option. I worked late a lot this past week. We all got new computers and I was in charge of setting them up for everyone. I learned two things: people have very different computer habits and I would make a horrible IT person. I have absolutely no patience for people in regards to technology. I think this may be because I always grew up with computers and just think they should be easy. We switched from Windows XP to Windows 7 and some of my co workers took to this like an unfrozen caveman to a Rubix cube. I literally had one woman shout to me “All my stuff has disappeared” only to go over and show her that she just minimized the window. She looked at me like I was some kind of wizard. I guess that part felt good. Evan the White has a good sound to it. This weekend we went to Wetumpka, Alabama, to spend time with my side of the family. Since we are spending Christmas day with my wife’s family, this was our time to open presents and what-not with my family. 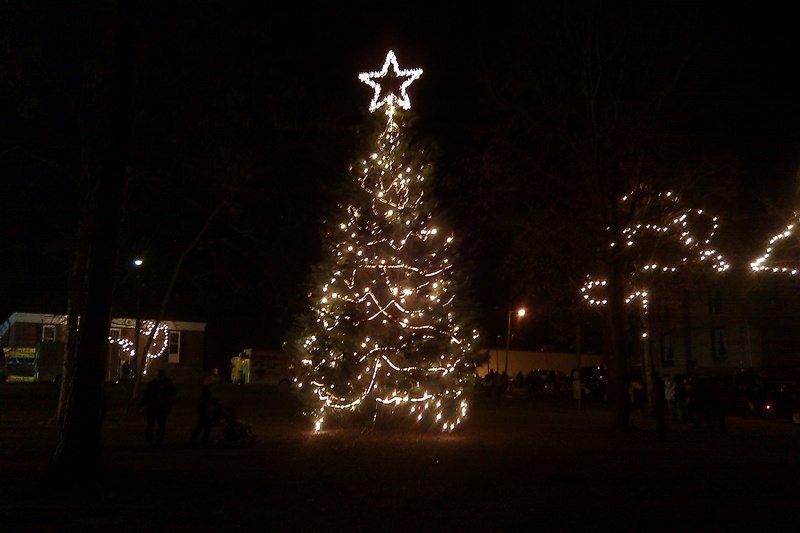 They have a festival there called “Christmas on the Coosa”, named for the adjacent Coosa River. There are all kinds of vendors set up in tents, car shows, a 5k (my parents and brother participated) and a 12k (my sister in law Sam did the 12k. Woohoo Sam! ), which all culminates in a boat parade on the river with fireworks following. The star of the boat parade is supposed to be Santa coming in on water-skis, but he was suspiciously absent this year. We found out the next day that this was due to a “personnel dispute”, which is probably government speak for “Santa showed up drunk”. 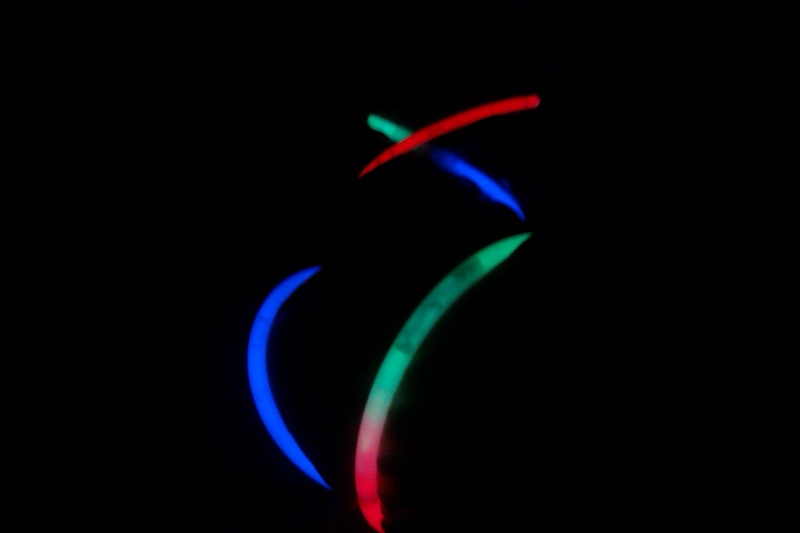 Here’s a few pictures for you: Nikki and I got glow sticks at the parade, which I made into bracelets. I thought it would be cute if I took a picture of us holding hands with these on, and the above picture is what I got. Even though all you can see are the glow sticks, I still like it. This was the Christmas tree by the river. I really love this tree. 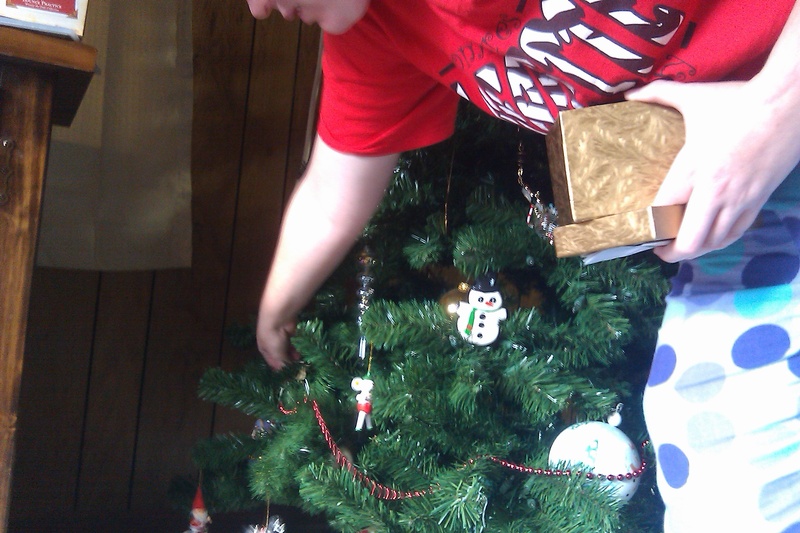 I am going to replicate the star on top for our tree next year. The exact same size and everything. My living room will shine like the surface of the son. Beat that Gundersons (our fictional next door neighbors. I really don’t know what our real neighbors names are)! After the parade we went back to my cousins house for dinner. We had Chicken Tortilla Soup and Chili. Here is my bowl of Chili: I have not yet broken the habit of putting an entire sleeve of saltines in my chili. What can I say? I like the texture. 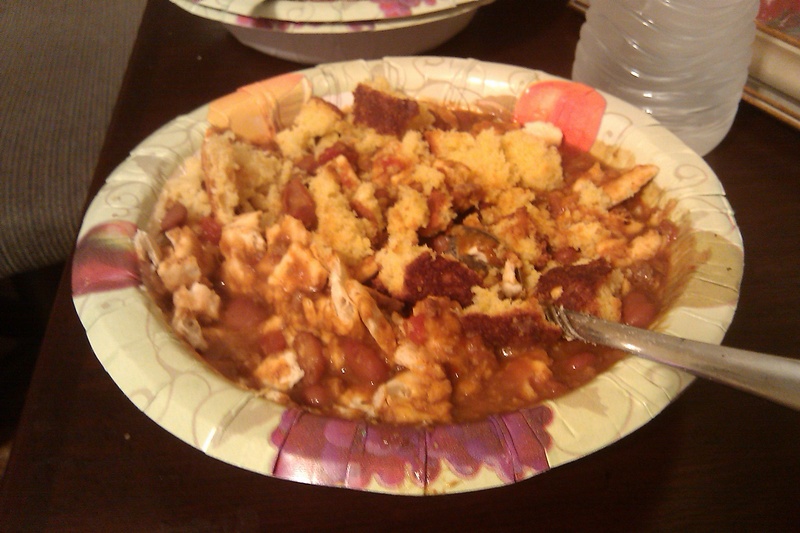 I think I also put some cornbread on there. I was on vacation. Speaking of that, “I am on vacation” seemed to be the theme of the weekend. I used it as an excuse to eat worse than I normally would. I went to the Shoney’s breakfast bar with my aunt and uncle (even though I had already eaten breakfast), I ate the Chicken Tortilla Soup and the Chili, and I ate a metric ton of Panda Puffs cereal. I was using this to satiate my desire for the one thing that characterizes holiday indulgence in my family: The Christmas Candy. That’s right, that tub is chock full of candy my friends. My grandmother made this for us all our lives. Then, right before she passed away, she taught my sister-in-law how to make it. She made peanut butter balls (chocolate covered) and turtles. My sister-in-law has added Oreo balls, which are a force of nature. My sister-in-law and I talked about this, and I knew it was coming. She was sweet enough to ask me how I felt about it since she knew I was changing the way I eat. We decided that the candy could be a “planned indulgence”. I thought that was a great idea, then I took the sweet tooth challenge. Friends, I didn’t succeed in avoiding this temptation. I caved and actually ate two pieces. 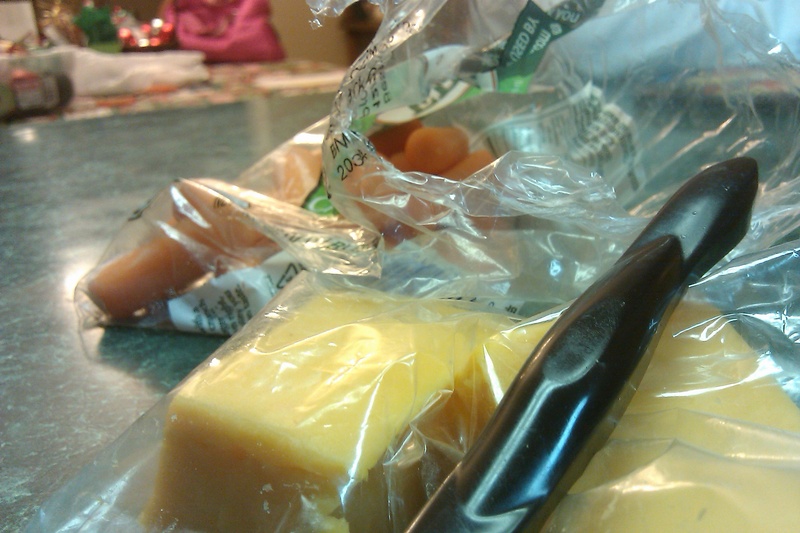 But, I steeled my resolve and wrapped the rest up and put them in the freezer. 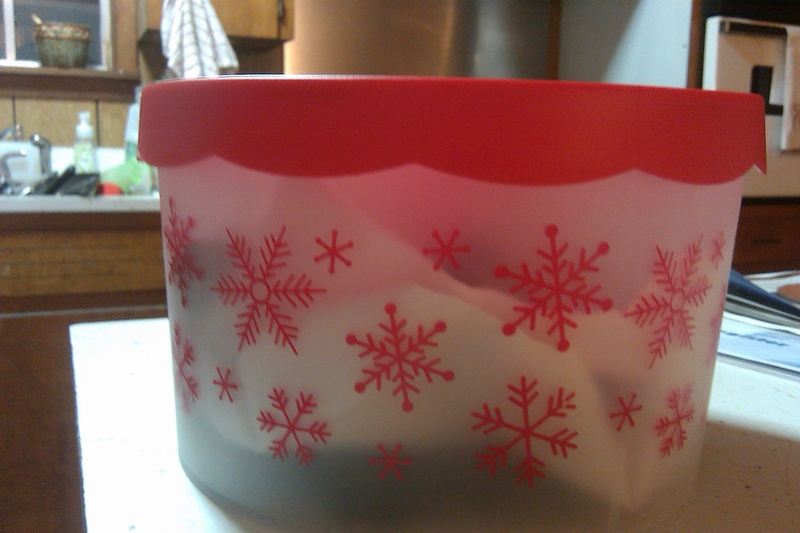 You will find those wrappings crumpled up next to me on New Years day. I will say that I am very proud of myself for sticking to the no carbonated beverage part of my challenge. I have not touched one since I started, and don’t really miss them. 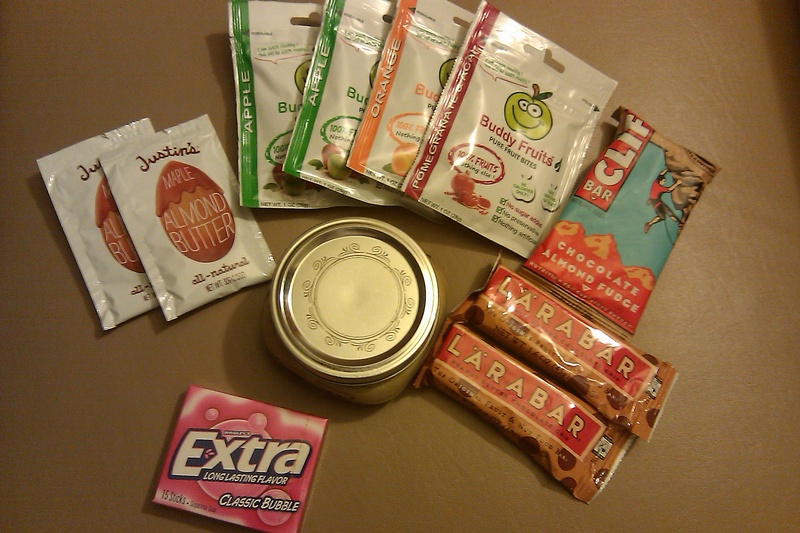 Santa brought me the following in my stocking: Mrs. Claus must have him on a diet too! I have never tried the Buddy Fruits before, but am eating them at this moment. I would have to compare them to Gushers because they are juicy and delicious. The little mason jar was filled with Cake Batter Cashew Butter. I can’t wait to try this! 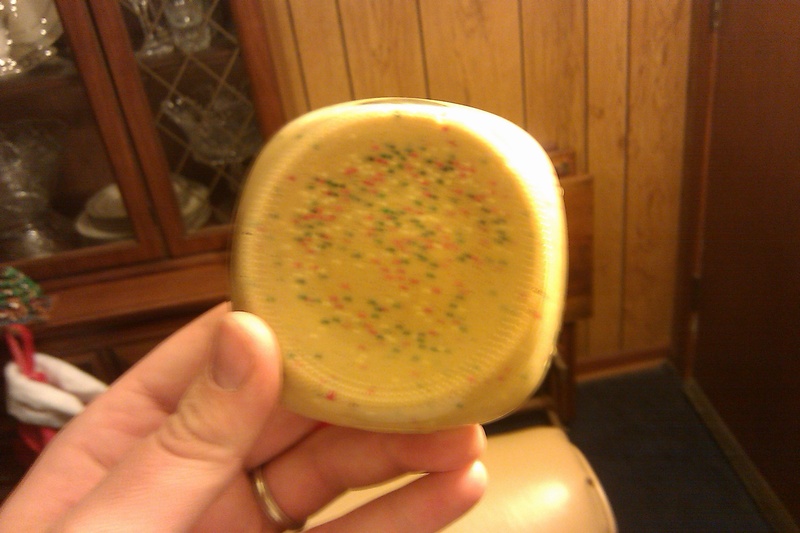 Here is another view: Ooooooo, sprinkles! Hope you had a great week! Things are settling down for me now, so I should be back to posting regularly. I really missed it, as well as the encouragement from all my faithful readers.